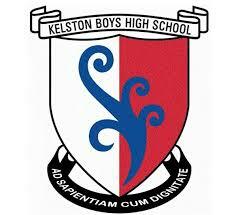 Today I had an amazing experience at Kelston Boys High School in Auckland. I was asked to speak to two classes of year 13 boys about the awesomeness of reading. I started with my pepeha – “Tuhituhia te kite, kia marama rawa ki nga papa …” and I saw one of the boys sit up and take extra notice. He was wearing a taonga around his neck and I assumed he’s Maori. I immediately felt a connection with him just through saying my pepeha and I could feel that he respected and appreciated it. At the end of my talk he jumped up and led the others in a haka, the first time I’ve faced a haka, and man it was awesome! I wanted to film it but it felt like I needed to just stand there and absorb it and receive it fully. After the haka the teacher of the class began to give the boys some notices and I went to speak with the Librarian. But I had a strong feeling that me and that young man would meet and as soon as his teacher finished talking he walked to me and I walked to him. It was like a magnetic force that just took us to each other, without words, straight to a hongi. It was a pretty cool feeling to be connected to someone through our spirits (wairua). Maori culture is so powerful and beautiful man! The hairs stood up on the back of my neck reading this it was so emotive. The haka must have resonated through your body for hours. Thanks for sharing. Awesome relational culturally enhanced pedagogy. Thank you for sharing. Thank you Robbie. Have an awesome weekend!